Recently, I’ve seen Dr. Chris Bassford’s site, Clausewitz.com mentioned at the Small Wars Council and then one of my co-authors, A.E. of Rethinking Security, favorably cited a link to Clausewitz.com on a social networking platform. Intrigued, I wandered over and read for a while. I’m glad that I did. On War was a book I read as an undergraduate for a class that focused on German intellectual history and was included by the prof more or less as an afterthought, along with works by Kant, Marx, Nietzsche and a few others. I recall that I was not terribly impressed at the time by On War; my real interest then was Cold War diplomatic history and I paid far greater attention to Marx. To me, Clausewitz was a turgid writer, another Germanic pedant, though an important one for his contribution to strategy. I never developed any particular dislike for him either, since military affairs wasn’t a priority and I stuck Clausewitz on my shelf and ceased to give him much consideration thereafter. Other philosophers and thinkers seemed to be more relevant. 7. Penguin Edition (1968). AVOID. The most widely available version of the Graham/Maude translation (see #4 above) is the weirdly edited and seriously misleading Penguin edition (still reprinted and sold today), put together by Anatol Rapoport in 1968. Rapoport was a biologist and musician-indeed, he was something of a renaissance man and later made some interesting contributions to game theory. However, he was extremely hostile to the state system and to the alleged “neo-Clausewitzian,” Henry Kissinger. He severely and misleadingly abridged Clausewitz’s own writings, partly, of course, for reasons of space in a small paperback. Nonetheless-for reasons that surpasseth understanding-he retained Maude’s extraneous introduction, commentary, and notes, then used Maude’s errors to condemn Clausewitzian theory. Between Graham’s awkward and obsolete translation, Maude’s sometimes bizarre intrusions, and Rapoport’s hostility (aimed more at the world in general, and at Kissinger in particular, than at Clausewitz personally), the Penguin edition is badly misleading as to Clausewitz’s own ideas. The influential modern military journalist/historian John Keegan apparently derives much of his otherwise unique misunderstanding of Clausewitz from Rapoport’s long, hostile introduction-necessarily so, since he has obviously never read Clausewitz’s own writings, not even the rest of the text of this strange edition. If you have any version of the Graham or Graham/Maude translation, but especially this twisted Penguin version, we advise you to get the modern Howard/Paret edition (discussed above). Curious, I went over to a bookcase and pulled my copy of On War. Sure enough, it was the “twisted” Rapoprt version that I had read . I don’t know if the backstory Bassford gives about Rapoport and Henry Kissinger is true or not but it is certainly a plausible one. Kissinger, for all his intellectual abilities and charm was, in his heyday, a highly aggravating and insecure personality who made a legion of enemies with abrasive, dismissive and derogatory remarks and machiavellian conduct. I’ve seen scholars tilt at windmills for stranger reasons than that. My own mentor in diplomatic history had consuming hatreds for Alexander Hamilton and Arthur Schlesinger, Jr. to which I could never relate. As a result of reading Bassford’s comments, I picked up a Paret translation of On War yesterday and a cursory flipping through told me that he was correct in his assessment. I had read an edition that was both mediocre and weird in college. So I bought the copy and look forward to getting acquainted with a much more accurate presentation of Carl von Clausewitz’s ideas. As it happens, SWJ Blog has a related post- Between Clausewitz and Mao. This entry was posted on Wednesday, October 15th, 2008 at 3:31 am	and is filed under A.E., book, classics, historiography, intellectuals, military history, philosophy, reading, small wars council, strategy, war. You can follow any responses to this entry through the RSS 2.0 feed. Both comments and pings are currently closed. The Paret version is still turgid, but it’s much better. I don’t now what it is wrong with the German language. Even the loopy French continental philosophy I consume is easier to read. Snap! I have the Penguin version of On War as well, fortunately balanced by the Howard / Paret translation. When I read the Penguin ed, I skipped Rapoport’s introduction. I agree that the Penguin is badly abridged, and Rapoport’s interpretation of Clausewitz’s famous trinity is odd, to say the least. I’d recommend Hew Strachan’s "biography" of On War, which I reviewed last week. It provides a good analysis of Clausewitz’s key ideas and the context in which they were developed. Check out Michael Handel’s "Clausewitz and Modern Strategy" as good references to sift through the flotsam and jetsam of translations. When I was poring through Karl von as a Naval War College student, Prof. Handel was an excellent guide for "how to read Clausewitz". We should have an online book group / support group and read Clausewitz in reasonable, bite-sized pieces, maybe starting after the turn of the year. Get some of the others in this "gang" to do so. We could blog our thoughts on each segment. I think books like Vom Kriege — dense, demanding, important — are best read with a group. I have promised myself I would read this in January with the appropriate attention to detail and reflection. School, work, wife.. nothing will get in my way. That and we’re probably going to a 32 hr work week b/c of the economy so I may finally get that lucky break. Thank you for bringing up the site, its proving quite helpful already. Lexington, that sounds like a great idea for the Anti-Library. 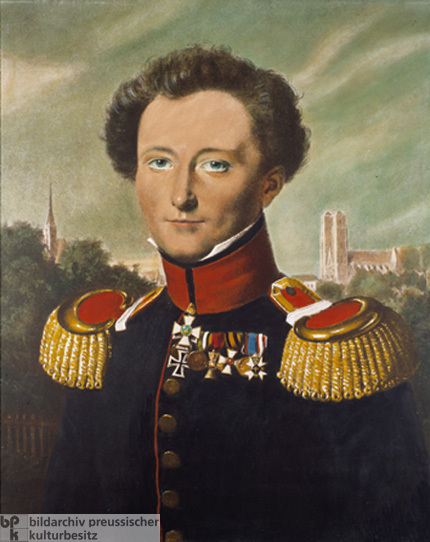 We could do a Clausewitz book salon. January suits my schedule. I think there are quite a few bloggers who might be interested in this – Cheryl Rofer of Whirledview, for example, has an interest in Clausewitz. Sam Liles. Fantomplanet. Some guys from the SWC/SWJ who are Clausewitz fans/critics. Many ppl. This could be a vibrant discussion. I’d be keen for the Clausewitz book salon – January is good. It would be great to get some participants who can’t stand Clausewitz, to spice things up. Yeah–January would be good. In the meantime, we can start an internal email list to coordinate. I am already going to put out a group notice to AL bloggers once we get some of the stragglers on board. This sounds good. I will circulate some further ideas and a proposed schedule. Count me in! I’m expecting many days of home-based ops during winter in COS. I am looking at my copy of On War, the Howard / Paret Princeton version. I see it is divided into eight "books". I see no reason to read the thing too quickly. We don’t have to hand in papers or anything. I think the third full week of January we post about Book I, the next week, Book II, etc. We are not limited, and if someone has finished it and wants to say how the last part relates to that weeks discussion, fine. But each week we should stay roughly focused on the portion we are reading and talking about. That gives everybody reasonable time to get through a long and dense book, and respond to each others’ posts. I would also like to avoid secondary literature and commentary. Let’s all try to sit down next to the campfire with Clausewitz himself, not someone tellins us what he says, and see for ourselves what he has to say without any filters or pre-digestion. If any of us can read it in German, that would be superb. Maybe we can use Adam’s new Antilibrary blog as the main location for the roundtable, with people crossposting their posts on their own blogs? It would be a good way to get Antilibrary launched and noticed. Adam, are you up for that? If not, we can do it some other way. To all of above dudes : oohh! Can I join ?! Many people seem to badly biased against the Prussian for strange reasons, like not as "good" & concise a read as SunTzu, contradictin’ himself, etc. Gonna get myself that old copy dusted. I am up to it. It sounds like a wonderful idea. I second Lex’s plan. Look forward to it. All, as means of introduction. If ya’ll are interested drop me a line. Welcome! You are in. What email address do you want us to use for you ? seydlitz89@web.de is fine. . .
Greetings, sorry for joining so late. First I would like to start out by supporting Kotare’s recommendation on Hew Strachan’s Clausewitz’s On War A Biography. I would go further, to add that if you plan on conducting a study of On War I would read Strachan’s book first. Not only does the book give a lot of pertinent back ground information and perspective, but it also goes into detail on the various publications and translations of On War. I would also concur with deichmans’s recommendation of Michael Handel’s work and also recommend his paper, Who is Afraid of Carl von Clausewitz? A Guide to the Perplexed. The question for me is more the relevance of Clausewitz today, than an understanding of him. Ever since the end of the Cold War scholars, historians, strategists, and the like have opined on the irrelevance of Clausewitz; Martin van Creveld, Basil Liddell Hart, and most recently Tony Corn, just to name a few, have all made the irrelevant argument. Of course this is nothing new, since individuals have been doing this since the work was first published. The current conundrum is, with the fall of the Soviet Union also caused the termination of the West’s unifying geostrategy. George Kennan’s Long Telegram no longer applies in the post Cold War world, but there has not been anything to replace it. People like Huntington, Friedman, Fukiyama, Kaplan, Barnett, and others have tried to capture the current/future geostrategic picture, but have all failed to adequately do so. In a recent published survey (sorry I don’t have the satiation for it) among leaders in the geostrategic and international relations world, there was no real consensus as to who held the leading geostrategic theory. Furthermore, among those who did choose one of the current published theories, (like those of the people mentioned above) but did not believe that it completely portrayed the coming future. There are those like van Creveld that say the Westphalian concept of the nation state is dead and therefore so is Clausewitz, but if you look at the world today who is on the rise. Is it multinational unions like the EU? No, it is large nation states like China, India, Brazil, and to a lesser extent the reemergence of Russia. It is also true that non-state actors, terrorist organizations, and insurgent groups additionally play their part in the study of warfare today. This does not mean that Clausewitz’s ideas, postulated in On War, don’t apply to these cases either. As Strachan points out, Clausewitz wrote that guerrillas are effective in restrictive terrain (forests and mountains) forfeiting the strengths of a conventional force. He goes to say that “what partisans lack in tactical effectiveness they gain through strategy.” (Strachan, Clausewitz’s On War, A Biography, 183.) This is clearly exemplified in cases such as AQ and the Taliban’s operating in the rugged terrain of ungoverned northwest Pakistan and their use of protracted war. So, not only is there relevance in On War to current irregular conflicts around the world, but it also will apply to in the interactions of nation states, which by all accounts will still dominate the future. So, study of On War, though difficult at times, is still well worth the effort and time in a how to better understand the nature of war and its application in foreign policy. J.B. : Great argument, dude. Lienot : Zdravstvuite, tovarisch. Somethin’s wrong with your script.